The IMA will host an intensive short course designed to efficiently provide researchers in the mathematical sciences and related disciplines the basic knowledge prerequisite to undertake research in mathematical neuroscience. The course will be taught by G. Bard Ermentrout, Professor of Computational Biology and Mathematics at the University of Pittsburgh and Jonathan E. Rubin, Associate Professor of Mathematics at the University of Pittsburgh. 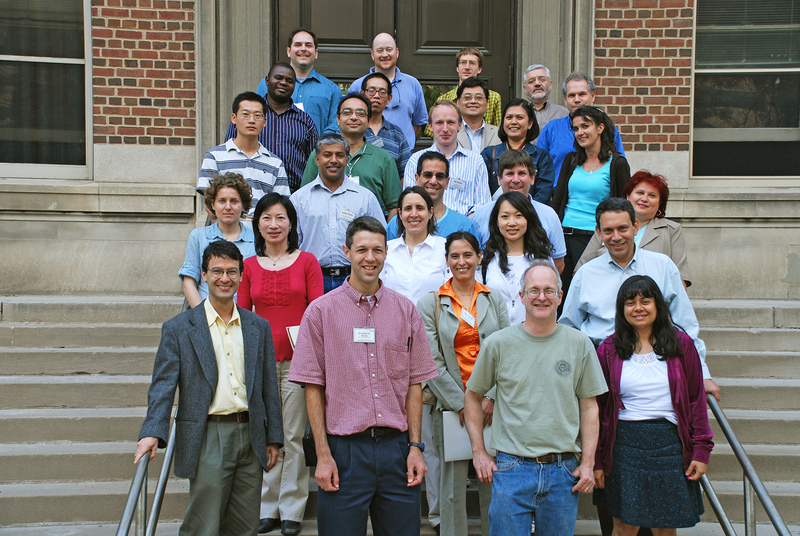 The primary audience for the course is mathematics faculty. No prior background in mathematical neuroscience is expected. Participants will receive full travel and lodging support during the workshop. Neuroscience is becoming increasingly quantitative and the need for theoreticians interested in collaborating with experimental neuroscientists will only increase in the coming years. In addition to a need for modeling, the kinds of problems which arise in neuroscience applications are mathematically interesting in their own right. For example, much of the theory behind Evans functions was developed in order to study stability of solutions to PDEs arising in the propagation of nerve impulses. The proposed short course will introduce the participants to basic concepts in cellular and systems neuroscience with an emphasis on the underlying equations and dynamics. Topics will include spatial propagation in single cells, the role of noise, synchronization of oscillatory behavior, network dynamics, and reduction/averaging methods. 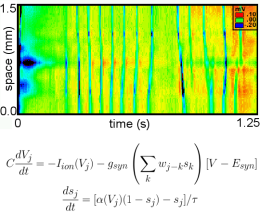 The toolbox includes singular perturbation, dynamical systems, simulations, and stochastic methods. 9:00 am - 10:30 am Experimentalists' perspective–what can we measure?